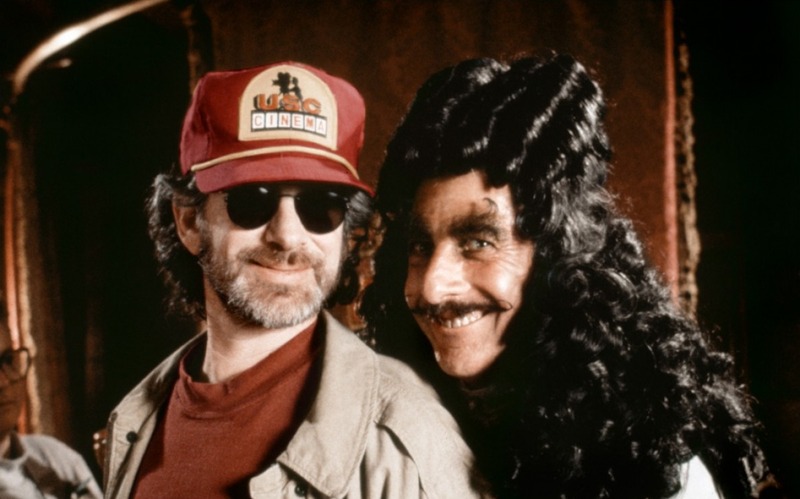 Before the release of Steven Spielberg’s Hook in 1991 the film’s success was very much in doubt. The runaway production went over budget by nearly $20 million, and had gone over schedule by 40 days. During the course of production things had gotten out of control, even according to Spielberg: “It was all my fault. I began to work at a slower pace than I usually do.” To this day, Hook is critically considered to be Spielberg’s weakest film, a blight on his career that ends up at the bottom of any list ranking all of his films. Indeed, Hook is a very commercial, big-budget film. In some senses it harkens back to classical Hollywood, with its expansive, imaginative sets, treatment of space, and many big name stars. Yet, today, this old Hollywood-style fantasy film has become a cult classic for a generation of millennials, who fondly remember the movie as a childhood classic. The retelling of the classical J.M. Barrie tale is a Goonies-style film for the 90s (Spielberg has a story credit on that film, not coincidentally). The re-imagined story of Peter Pan, if Pan grew up, follows Peter Banning (Robin Williams) and his return to Neverland after the kidnapping of his two children by arch-nemesis, Captain Hook (Dustin Hoffman). For a film that is largely considered a flop, Hook went on to gross $120 million domestically and an additional $180 million internationally. It’s a fair bet to assume the studio made its money back, even with Spielberg, Williams, and Hoffman taking a 40% split of gross revenues, rather than salaries for the production. And for all the critical panning, Hook still went on to earn Oscar nominations for Art Direction, Costumes, Visual Effects, Makeup, and Music; many consider Hook to feature one of John Williams’ best scores. Despite box office success, Hook, is widely considered to be Spielberg’s weakest film. But for a generation of 20-somethings, that’s just not the case. The cast and the performances in the film are standouts in their own right. For starters, take the overwhelming amount of catch-them-before-you-miss-them cameos: Phil Collins as the London police inspector, Jimmy Buffet as a pirate, Glenn Close in drag as the pirate put into the “boo box,” and even George Lucas and Carrie Fischer as the barely noticeable kissing couple sprinkled with fairy dust. Beyond the extravagant cameos, the film is filled with equally extravagant performances. Before there was Johnny Depp’s excessive and obsessive performance as Captain Jack Sparrow there was Dustin Hoffman’s Captain Hook. 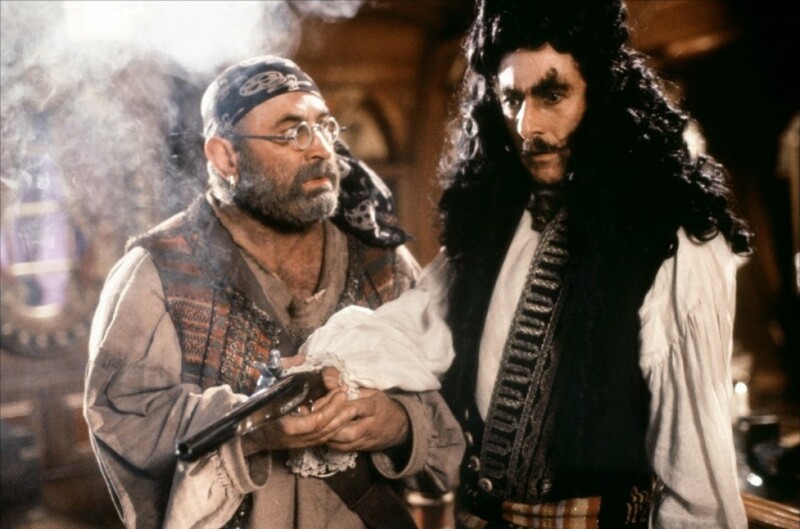 Bob Hoskins’ Smee and Hoffman’s Hook play off of each other with ease; Hoskins and Hoffman relish the chance to ground the comedy by pushing it to an almost absurd level of performance, such as when Hook begs Smee to stop him from committing suicide. This scene, and many others, could be too excessive for a kids’ film, however, they work because the actors make excess such an integral part of the performance to begin with. Subtle comedic moments, like Hook clapping his one hand against his hook only for Smee to slip his hand in-between for an actual clapping sound, are numerous and hysterical. Even Robin Williams’ Peter is quite disciplined, a surprise coming from an actor that usually can’t sit still for a whole scene. 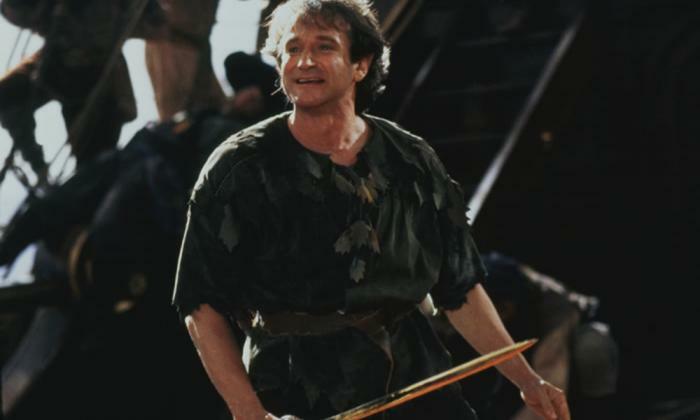 Somehow his performance is tempered to grow with the rediscovering of Banning’s inner Peter Pan; compared to Hoskins’ and Hoffman’s performances, Williams’ is the least extravagant of them all, a feat in itself. But for this film, it works quite well, especially in helping the audience to embrace the fantasy elements. While many may disparage the film, this is only Spielberg’s weakest film against a varied and distinguished career of nearly fifty directorial credits, and the critical panning is far from deserved. Many critical considerations of Hook also happen to put it in the larger context of Spielberg’s career, marking it as a turning point between an earlier set of films that feature children, man-childs, child-like wonderment, and innocence: Close Encounters of the Third Kind, 1941, E.T. the Extraterrestrial; and featuring with the later set, authority, responsibility, and obligation: Jurassic Park, Schindler’s List, and Saving Private Ryan. Indeed, Hook, with its themes of aging, adulthood, time, childhood, innocence, theatricality, and play, does function as a kind of filmic turning point in the director’s career, marking the passage into a more mature understanding of the statement his films would make going forward. For someone to truly be able to love this film the fantasy and magicality must be embraced. Moments that require a suspension of disbelief ­- maybe a little bit of playfulness and imagination would be a more apt way to say it – are harked upon as violating the fantasy tone of a children’s movie: a pirate being shot and killed in front of Jack for stealing second during the baseball game, the flashback of baby Peter Pan disappearing from his mother right in front of her as a result of an internal existential debate about death and a refusal to grow up, etc. may not work, unless the viewer is willing to play along and live in the fantasy. And that’s exactly it! Playing along is what the film, and Spielberg, embrace, indeed it’s the whole point: sometimes the elements of theatricality and play are necessary, even when you grow up. Hook may have been critically maligned but its box office success and growing legacy as a cult classic children’s film suggest that the judgements may be a bit harsh and overly influenced by the larger understanding of Spielberg’s well-known and remarkable career.